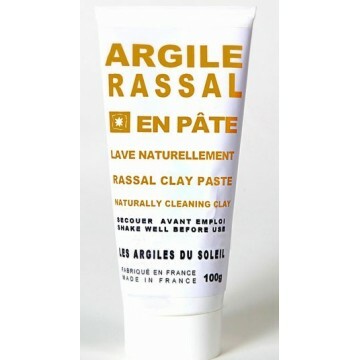 The RASSAL is a French clay that gently cleanses all types of hair and body. Without washing base does not foam. 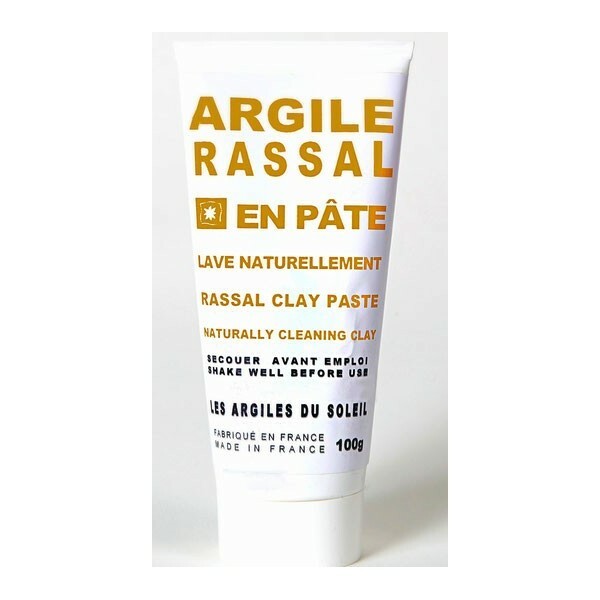 The main guarantee is that the mineral RASSAL clay is not washed, like other clays, thus guaranteeing it exceptional qualities that make the RASSAL a product bringing to the body a certain number of mineral ions hence its remineralizing power. 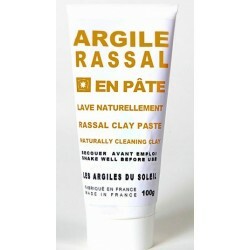 Rassal is renowned for its astringent, absorbent and soothing qualities. It helps to clean without lathering and to bring a number of mineral ions to the body. It is a must for a moment of beauty and well being. Apply the paste in a thick layer on the face avoiding the eye area and the lips. Leave to act maximum 5 minutes. Rinse thoroughly with clear water without rubbing before the clay dries. Some clays, such as Rassal, have mild washing properties and can be used to degrease hair without stripping or damaging it. Clay is an excellent regenerator of the scalp. Apply this mask on your wet hair. Massage gently and gently the scalp to activate the blood circulation. Leave the clay mask for about 20 minutes. This time is necessary for the clay to penetrate the heart of the hair fiber and act. Rinse thoroughly, first with clean water and then with lemon water.